Events such as these used to be unthinkable, anomalies of history that once played like speculative fiction. But this really did happen. 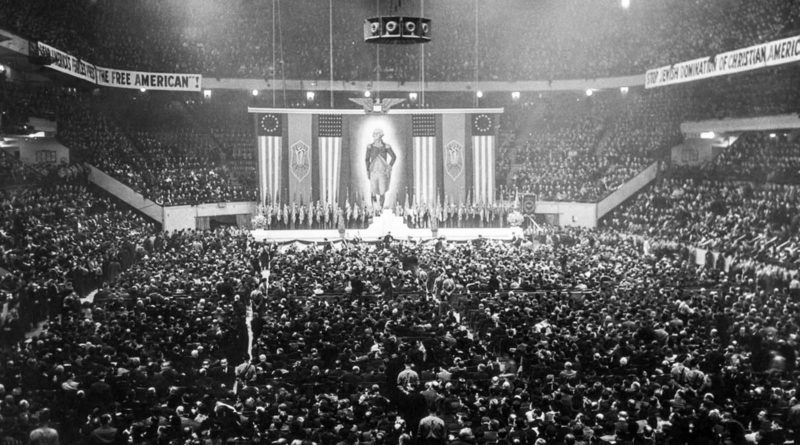 Eighty years ago this month — on February 20, 1939 — over 20,000 members of the German American Bund, a pro-Nazi organization, gathered at Madison Square Garden (at its Hell’s Kitchen location on Eighth Avenue) to unite the philosophies of American exceptionalism and Nazi worldview, gathering under the pretense of celebrating the birthday of George Washington. Just a week earlier, on February 12, 1939, the Garden was filled with thousands of prized canines as part of the Westminster Dog Show. 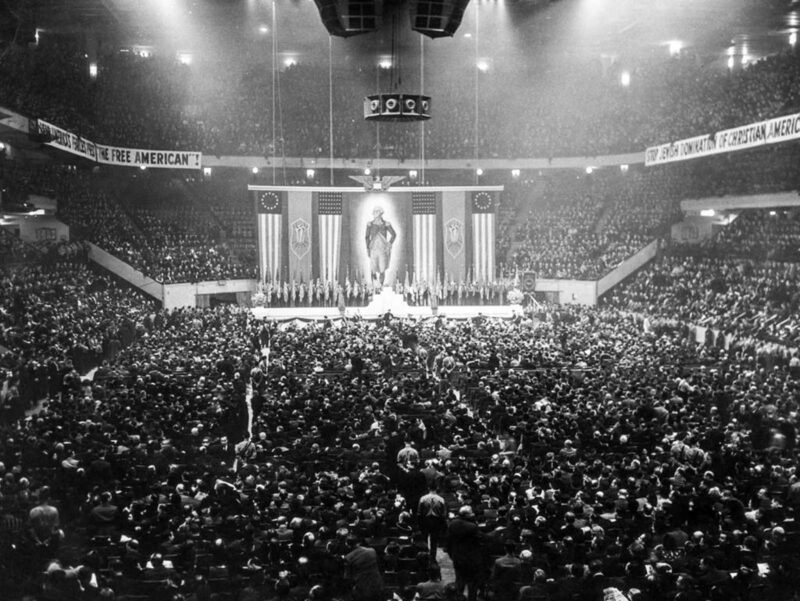 Eight days later, the famous arena was occupied with a more menacing sight. 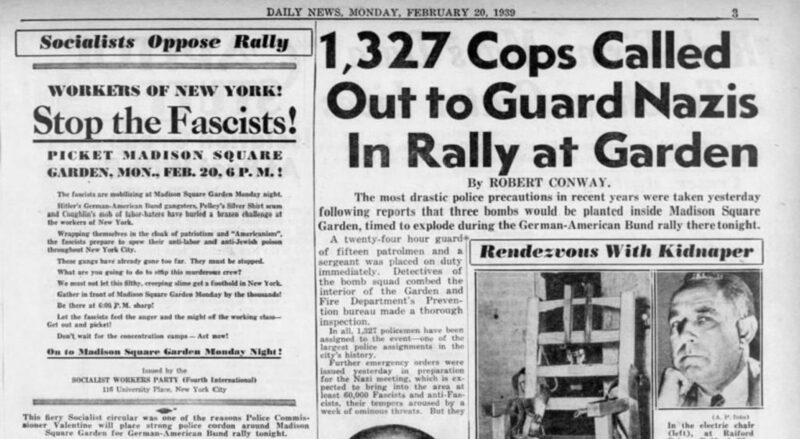 “Marked by scores of street fights in which anti-Nazis, Nazis and police clashed frequently, the German-American Bund’s “American-ism” rally in celebration of George Washington’s birthday last night gave the vicinity of Madison Square Garden the liveliest six hours it has known in recent years. The Oscar-nominated short documentary A Night At the Garden looks at this event from an ominous bird’s eye view, capturing the united enthusiasm of the crowd and even Greenbaum’s attempt to storm the stage. The director Marshall Curry (who made the excellent film Street Fight — about Newark politics — over a decade ago) lets the footage speak for itself, allowing the audience to make their own contemporary parallels.